Last week, civil society organisations from around Southeast Asia, including the Asian Network of People who use Drugs, Asia Catalyst, KHANA Cambodia, LBH Masyarakat (Indonesia), NoBox Transitions (Philippines) and Drug Policy Advocacy Group Myanmar, sent an open letter co-ordinated by the International Drug Policy Consortium to the ASEAN Secretary-General Le Luong Minh. The letter requests ASEAN to establish opportunities for civil society organisations and affected communities to participate in the official process for the development of the new ASEAN strategy and work-plan on the use and supply of drugs. 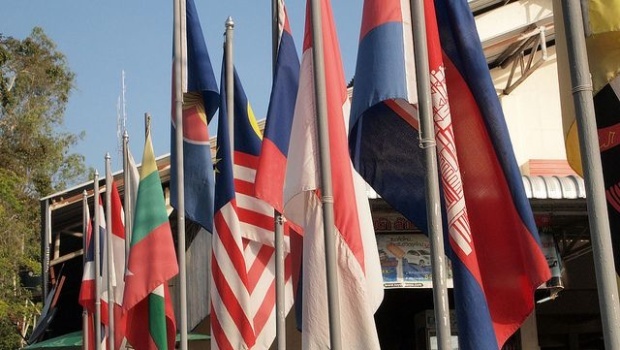 As senior drug policy officials from the 10 member states of the Association of Southeast Asian Nations meet in Thailand this week, they are expected to discuss the shape of the new drug strategy for the region. Drugs are considered as a security matter, so the details of the meeting’s agenda and their discussions are closed to the public, including to communities affected by drugs and drug policies (namely people who use drugs and people who cultivate drugs for subsistence purposes) and civil society organisations. What we do know at this stage is that the goal of the previous drug strategy to achieve a drug-free region will be retained, as outlined in the new framework for ASEAN: ASEAN 2025: Forging Ahead Together. But will they discuss and seek to address recent horrific drug policy consequences, such as use of the death penalty (and with undue process) in Indonesia and extrajudicial killings in the name of a war on drugs in the Philippines? Will ASEAN governments try to tackle the very serious problem of the lack of evidence-based, voluntary drug treatment and harm reduction services, particularly in relation to the use of amphetamine-type stimulants which has been identified as the top drug of concern for most countries in the region not to mention the ongoing use of compulsory drug detention centres and other problems highlighted in previous IDPC advocacy notes on the ASEAN drug strategy? We know that engaging NGOs and affected populations in the design and formulation of drug policies is critical to ensure that policies and strategies truly address the issues faced by people on the ground, and do not lead to further harm. This is common practice in other regional structures such as the African Union, Organization of American States and the European Union. Engaging affected communities and NGOs is hugely beneficial, as their expertise and experience is vast, and capable of contributing robust evidence to inform the development of humane and effective drug policies. As ASEAN member states plan a new drug strategy and work-plan, advocates from the region urge ASEAN governments and the ASEAN Secretariat to ensure the meaningful participation of civil society and community representatives through the establishment of formal consultative mechanisms on the development, implementation, monitoring and evaluation of ASEAN drug policies and programmes.